Please read this ENTIRE listing before purchasing and feel free to convo or email with any questions. This listing is for two downloadable high resolution PNG image files with a transparent background. Images can be used for Iron On transfers, as clip art or digital Scrapbooking. If you prefer JPG files please send me a message. I will convert them and send them to you at no charge within 48 hours of your request. Please note that the background will not be transparent with a JPG file. Because some printers automatically reverse the image when you select the iron on transfer paper option, I have provided both a normal viewed image and a mirror image. Please make sure you print a test page on normal paper to determine which image you will need to use. Downloadable files will not have any watermarks and will be sent in high resolution (300 DPI), printable on letter sized transfer paper. You will receive two PNG files and one PDF document. Please be sure to read the PDF file first for basic instructions. Iron on transfers are very simple and versatile. 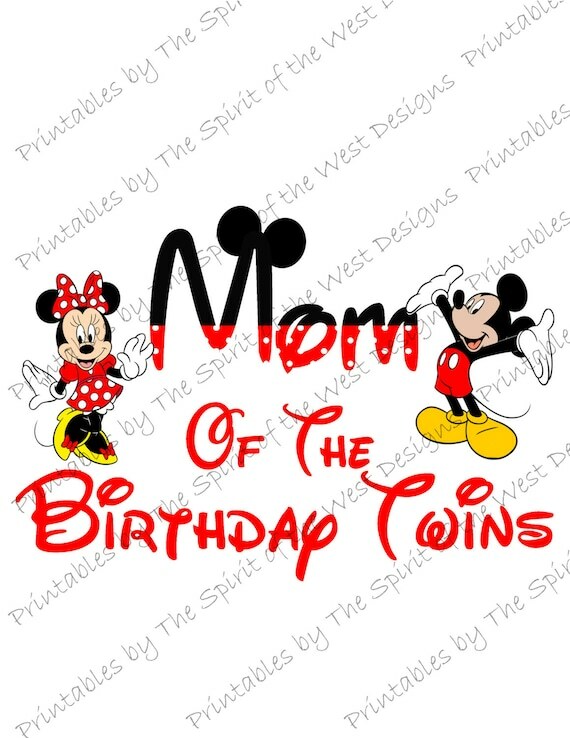 Print, cut and iron on, create a birthday your child won't forget! - T-shirt, tank top, pillow case, etc. Read the directions on the transfer paper you choose for details of what fabrics will work. Because this file is digital, you can print as many copies as you'd like from home or a photo lab.